How To / PC Assembly / Case and Motherboard. 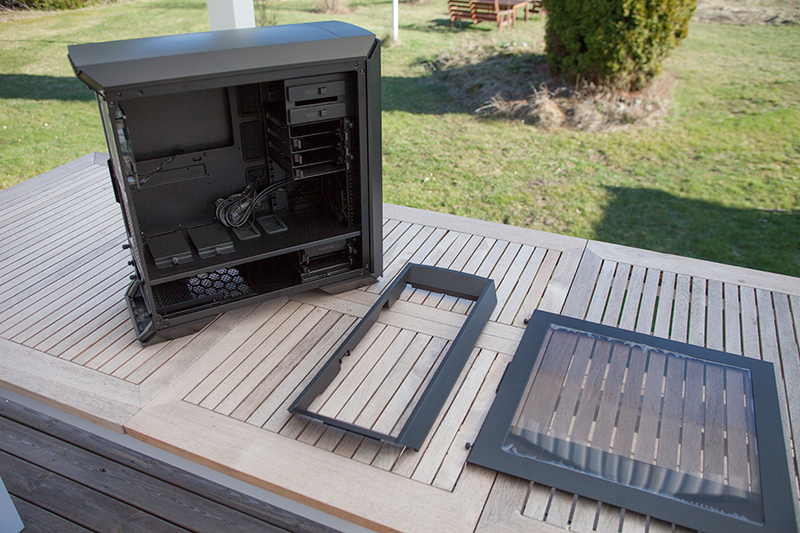 I thought as there’s finally arrived some warm spring weather here in Sweden, I could do this build outside. I’ve got this opal white plastic roof that give a great diffuse light perfect for building. 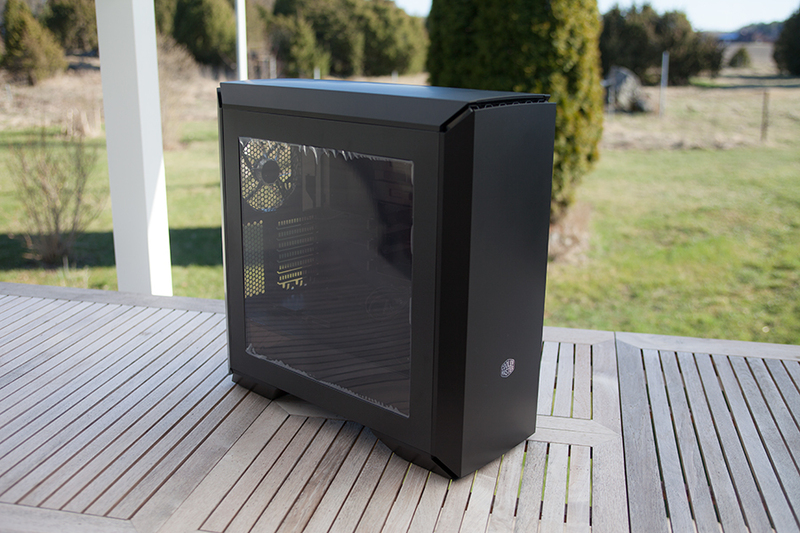 I did not show anything regarding the MasterCase unboxing last time, but it’s actually one interesting thing about it. 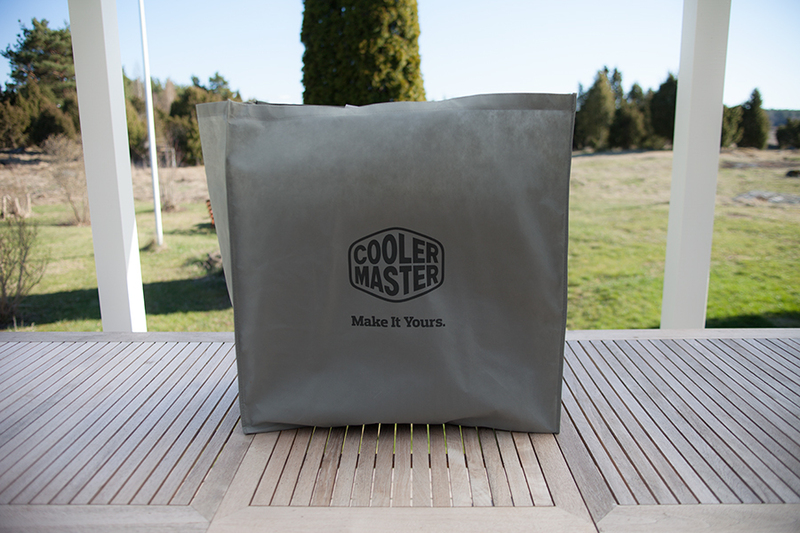 The case is put in a bag with handles. Strong enough to allow you to carry the finished computer in. 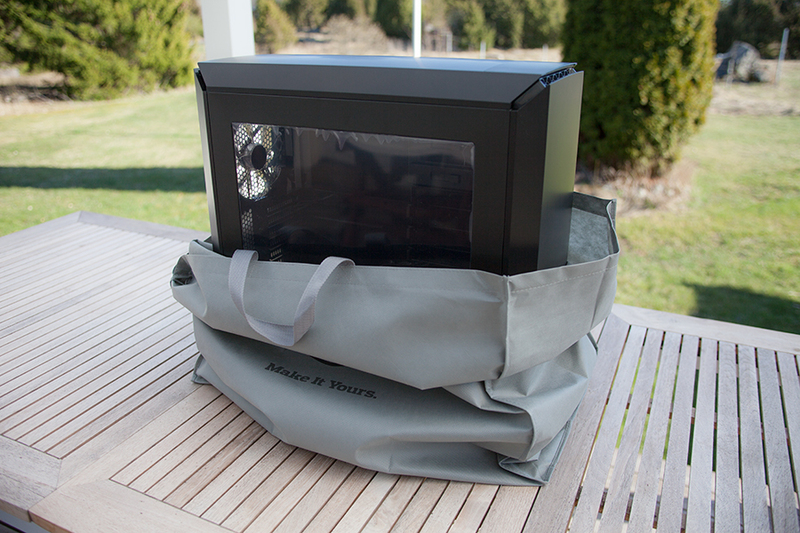 Pretty simple but great thing to include making it easier when transporting your computer. Also adds a bit of soft protection to side panels and such! 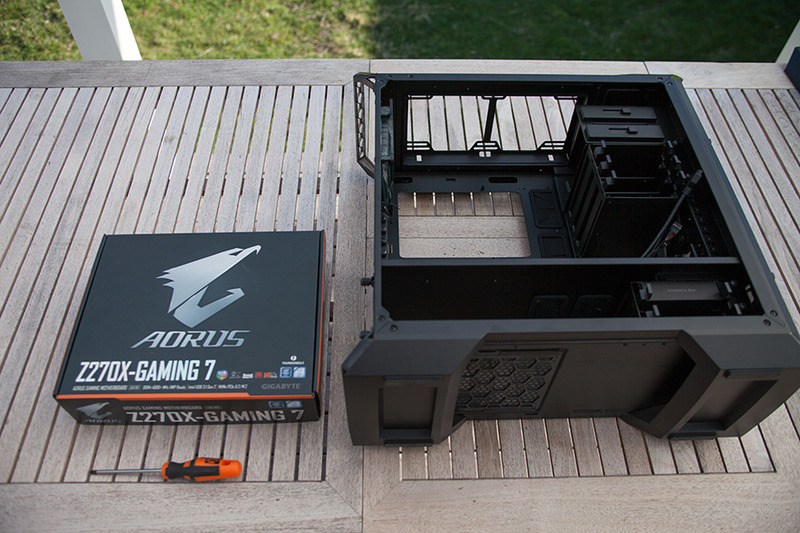 Removing outermost case parts will get me access to the case internal layout. 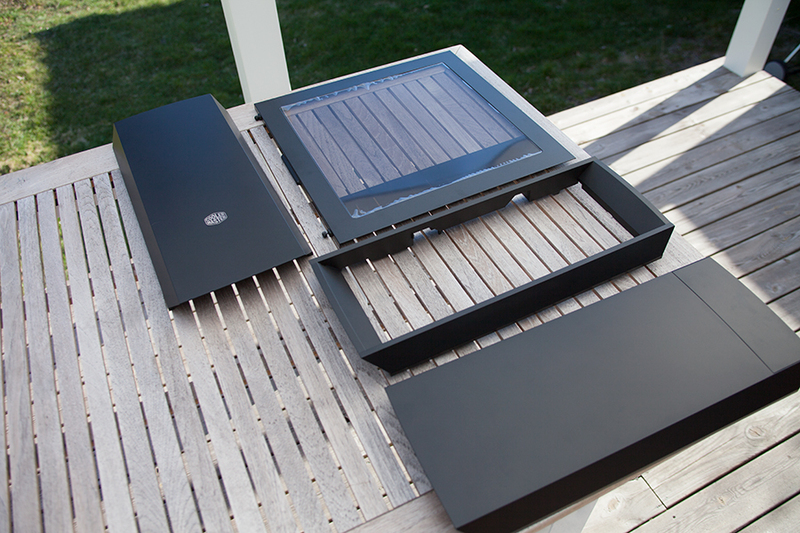 Front, top and back covers comes off this MasterCase Pro 6 without any tools. Both side panels are attached with thumb screws and easy to disassemble. I put these parts away because they won’t be needed until the final assembly. I prefer to remove as much as possible down to the bare frame for a better overview and easier assembly. Lets begin with the motherboard. As all parts connect to this board I suggest you begin with it. 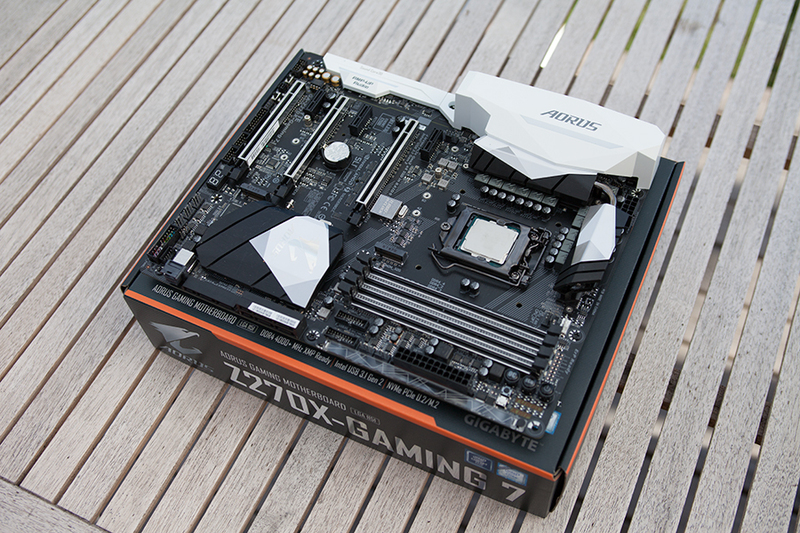 CPU, RAM and some coolers are actually easier to mount while your board lays outside the case. I’ve cheated just a bit installing the CPU already. But it’s quite straight forward following instructions in the motherboard manual. Just remember a few things. Make sure you got the CPU correct rotated before trying to drop it in. Do not touch the pins on your board as you may destroy it completely. And do not remove the safety plastic cover before installing the CPU. It will pop out by itself once you got the CPU in place. 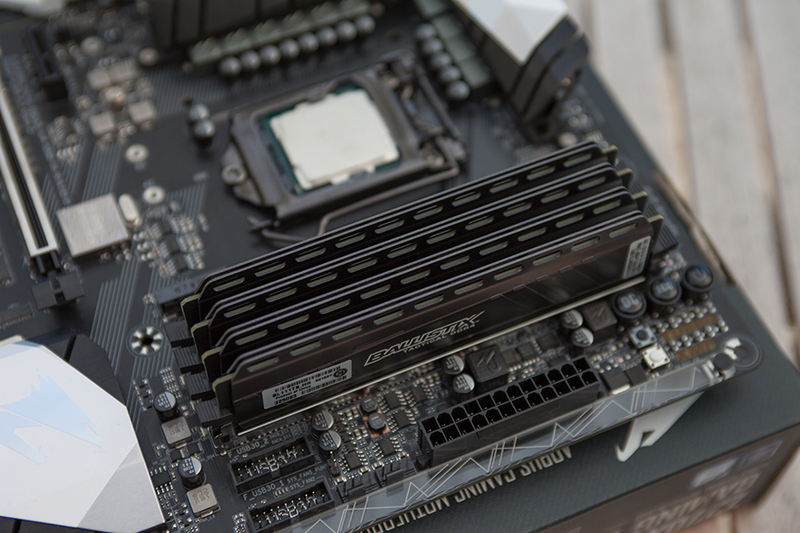 Before dropping the motherboard inside the case, I choose to install all RAM memory modules. This board got a RAM slot design with both ends open as shown in the picture. 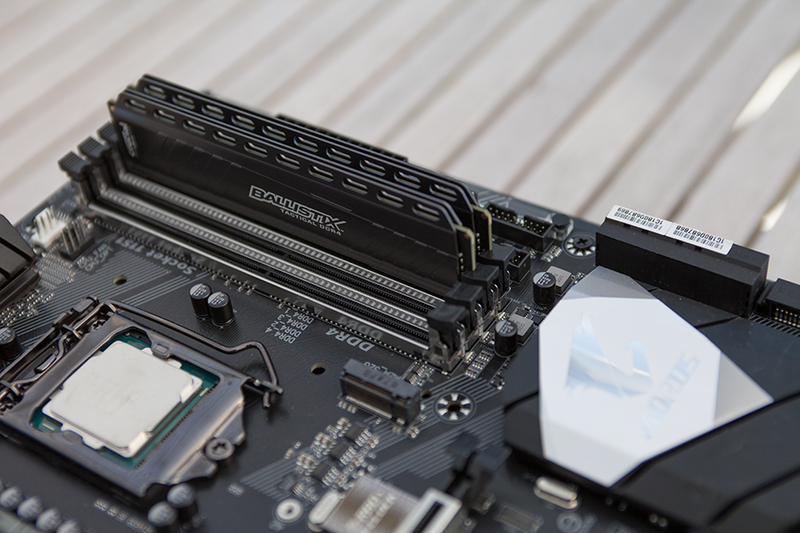 The mounts on each side are flipped outwards and will fall back in place and secure youre ram when you push it straight down. There’s a directional slot on each module d will guide you to install them in the right direction. Other than that just drop them in and apply a bit of force to make them fasten. When using a 4 module kit there is no need to think about which slots to use as all four modules are identical. 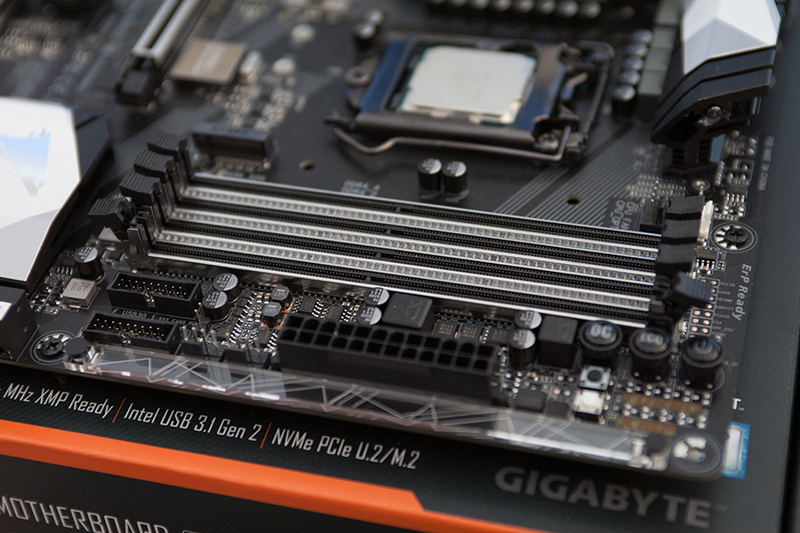 If you use a two module kit make sure to read your motherboard manual and determine which slots to use. Probably 1 and 3. I’ll wait with CPU cooler installation until the motherboard is installed inside the case.